It is 1692 and something wicked this way comes. No, not Shakespeare’s tragic hero but an anti-hero in the form of Abigail Williams who brings the whole town of Salem to their knees. What devilry is here? And will the innocent prevail? 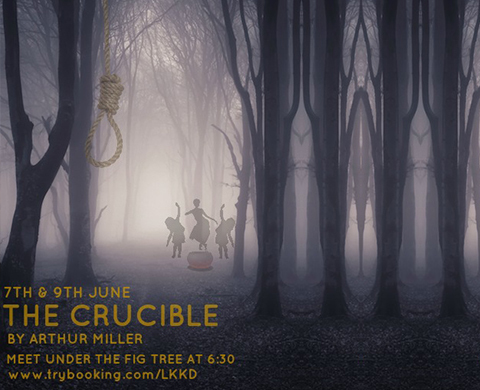 Rosebank College Senior Drama Ensemble are a dedicated and committed group of volunteer performers, choosing to come together to stage Arthur Miller’s “The Crucible” purely for YOUR enjoyment. Are you game to step back in time with us and confront the demons of guilt that permeate the past?